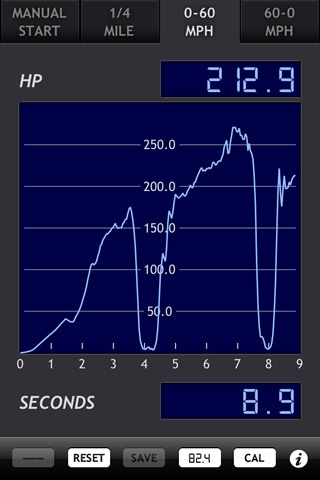 gMeter is an app that turns the iPhone, iPad, and iPod Touch into a vehicle performance computer. By using the onboard accelerometer in these devices, gMeter can measure forward and lateral g forces and use this data to compute acceleration, velocity, distance traveled, and engine power. gMeter is setup to compute performance for timed distance (1/4 mile or 400 meter), timed speed (0-60 mph or 0-100 km/h), or timed braking (60-0 mph or 100-0 km/h), and offers a hands-free automatic start feature (based on vehicle motion). 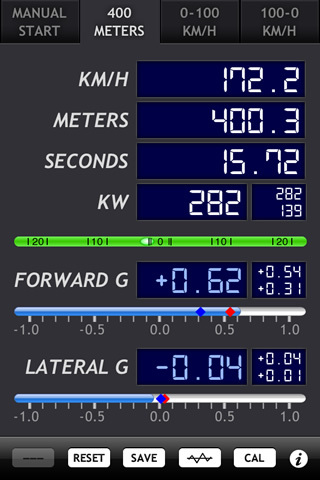 gMeter also offers a full manual mode. gMeter can display data and compute performance in US or metric units, and data from performance runs (including raw data in time series form) can be saved and e-mailed right from the device. 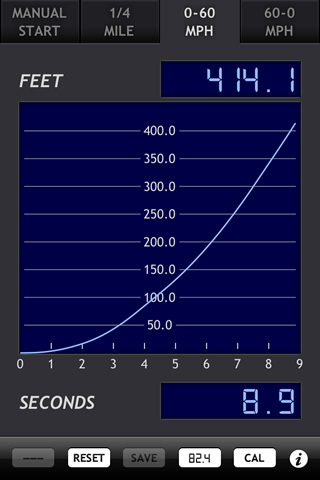 Graphs of speed, distance, power, and forward/lateral g can be displayed, and saved to the photo album for later use or syncing to a computer. 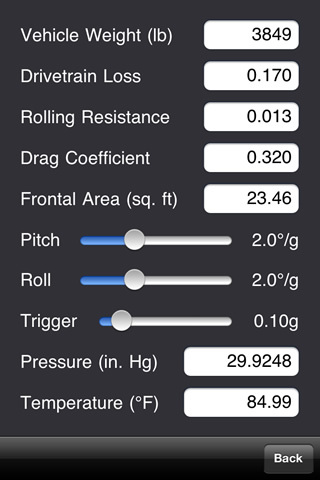 The software has two calibration modes, and offers a correction to account for vehicle pitch under acceleration and deceleration, and vehicle roll under cornering. Engine power computations include inputs for drivetrain loss, rolling resistance, aerodynamic drag, and weather conditions. 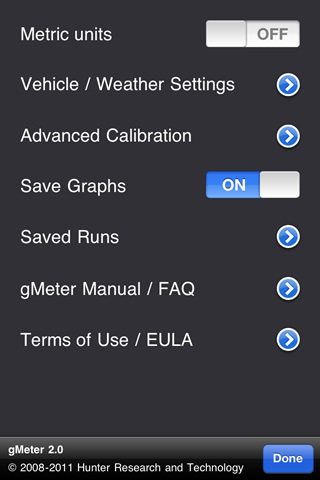 What sets gMeter apart from other vehicle performance apps? Instrument and graph display modes. Graphs can be saved to the photo album. Data export, including raw time series data. E-mail saved data right from the device. Detailed power computation with multiple input factors -- even weather. Simple, effective, and robust calibrations. Active and responsive pro developer. 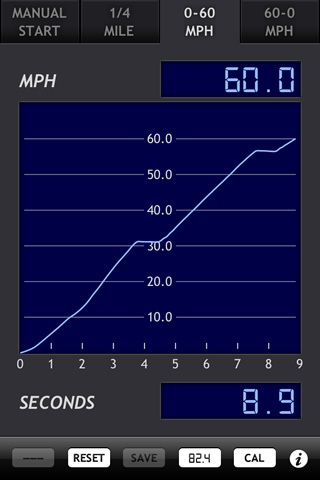 gMeter was one of the first vehicle performance apps available when the App Store debuted in July 2008. Runs on any iPhone, iPod Touch, or iPad with iOS 4.1 or later.